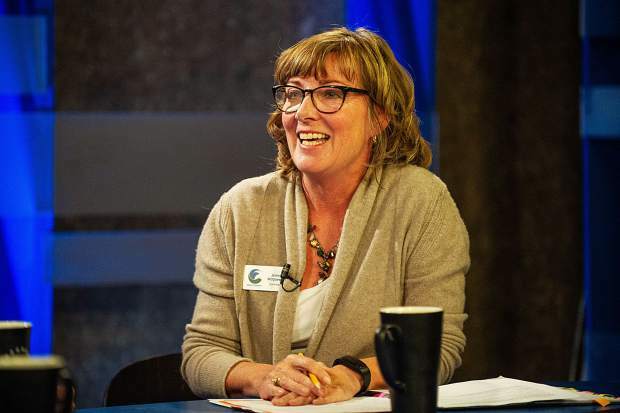 Eagle County Commissioner Jeanne McQueeney is running for a second four-year term. Residents in the middle Roaring Fork Valley will help elect the Eagle County commissioner for District 3 this November. Incumbent Jeanne McQueeney is seeking re-election to a four-year term. Jackie Cartier is challenging. McQueeney, a Democrat from Eagle, has been a resident of the county for 27 years. She is a full-time commissioner and has a master’s degree in early-childhood special education. Cartier, a Republican from Basalt, has lived in Eagle County or the Roaring Fork Valley for 21 years. She lived in Pitkin County from 1997 to 2012, when she moved to the Eagle Valley. She moved back to the Roaring Fork Valley, in Eagle County, this spring. She is an adviser/consultant for government agencies and public figures in crisis management, communications, conflict resolution and bipartisan legislation, is an educational consultant and a newspaper columnist (on hiatus from the Vail Daily during the campaign). 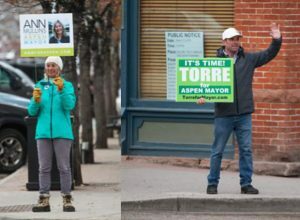 The Aspen Times presented three questions to the candidates that are specific to the Roaring Fork Valley. Aspen Times: There’s been widespread frustration among midvalley residents with Eagle County’s land-use process, most glaringly on the approval of the Tree Farm proposal. What do you think is at the core of that frustration and what do you propose to ease or “fix” it? Jeanne McQueeney: The Tree Farm land-use file provided us a great opportunity to address community needs regarding development in the midvalley. It helped to clarify and prioritize the values of the community. Workforce housing came through as a clear priority resulting in 200 of the 340 units being deed restricted as resident occupied. Adjustments were made to the plan prior to approval that consolidated the density to fewer acres ensuring additional open space. The role of county commissioners is to review the plan against the standards for development incorporating the Master Plan and Future Land Use Maps (FLUM). These important documents are created by the community and the Roaring Fork Planning Commission. Since the Tree Farm hearing, the Roaring Fork Planning Commission took on the lengthy review of the Mid-Valley Master Plan and FLUM. A special thanks and appreciation needs to be extended to them for their work in engaging the community to review the plan. It is difficult to represent a community with such varied views and they did an excellent job. People within our communities won’t always agree. As commissioners, we are charged to listen to and honor different perspectives and to help craft the kinds of compromise that can move us forward. We have taken this responsibility to heart and insist on thorough, diligent hearings and processes on challenging issues. Jackie Cartier: I’ve spent quite a bit of time with CPA Ken Ransford and also met with attorney Tim Whitsitt, who filed the lawsuit against Eagle County and Jeanne McQueeney, (Editor’s note: The lawsuit lists the Board of Commissioners as a group as defendants, not as individuals.) and who are also the ones coordinating the movement to leave Eagle County through Save Mid Valley. I must defer to their expertise in answering this question, which I wish McQueeney would have done prior to making the decision to move forward without additional discussion and against the recommendations of our community. Ransford says that the Tree Farm is already a done deal, even as they await other legal opinions. This is why I strongly propose that all major legislation engage the principals involved beforehand, because, despite our experience as commissioners, it may be quite different for those who must live it every day … times change, conditions evolve, community needs differ, and the principals’ priorities may change from when an issue is originally presented. This project had originally been approved because both sides saw benefit, and yes, benefits come at a cost. Ace Lane needed to develop the land and the midvalley needs the additional income. Yet, the changes made were so substantial that it required additional consideration. Since both sides desired different elements of the project, consensus could have been reached on the areas in question, if McQueeney had followed the Planning Commission’s recommendations and allowed the process to play out. It would have happened without the current contentious environment. Lane has been a member of the community for a long time. It’s unlikely that he would want to do something that would harm the community he loves. Basalt simply wanted what they had originally approved. Both sides expressed a desire to talk further, yet those talks never happened. The commissioners could have facilitated that meeting prior to making a decision. I will work to repair the community-developer tensions; I believe that those bridges are not yet burnt. 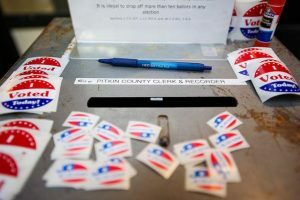 Aspen Times: Similarly to question 1, some residents of the Roaring Fork Valley portion of Eagle County feel disenfranchised from a county government that is based 50 miles away. Provide specific examples of what you would do to improve that relationship. Jackie Cartier: I am blessed to have lived in both valleys of Eagle County. I raised my son in the Roaring Fork Valley and upon his graduation from AHS, I moved to Eagle Valley to be closer to the Front Range, and became a columnist for the Vail Daily, then returned home to Basalt. This connection to both sides of Eagle County has given me a unique perspective to the issues at hand. I work with the Roaring Fork School District’s alternative high school, Bridges, which keeps me connected to the families living here, while also working with the Eagle County Sheriff’s Office, who works in alignment with police chiefs and first-responders across all of Eagle County. I am also beginning to work with Colorado Parks and Wildlife. Each of these entities provides a unique perspective to the issues faced across the entire county and having someone who lives in the Roaring Fork Valley establishes a rare bond that hasn’t been available. We represent about 20 percent of Eagle County … isn’t it time that we got at least that much direct representation? The added perspective will aid in diversifying county decisions. Jeanne McQueeney: As a team of three commissioners, I can say that we enjoy representing the Roaring Fork Valley. And we have good relationships with many people in the RFV. Although it is a 50-minute drive to El Jebel, it is not unusual for a county to represent much larger geographical areas and it is an equal distance to the furthest east community in the county, Red Cliff. Each community within the county is unique, and I strive to understand each community as I provide representation. I believe we are fortunate to have so much in common. We have similar roots in agriculture, ranching and mining. And both valleys have been influenced and changed by the ski resort economy to varying degrees in each community. We also struggle with similar challenges in affordable housing, child care and health care costs. And we have similar priorities for protecting the environment including safeguarding our clean water and protecting our wildlife and open spaces. To strengthen our working relationship, we have bimonthly meetings with all mayors and managers as well as annual joint meetings with both the Pitkin County commissioners and the Basalt Town Council members to discuss alignment of strategic goals. 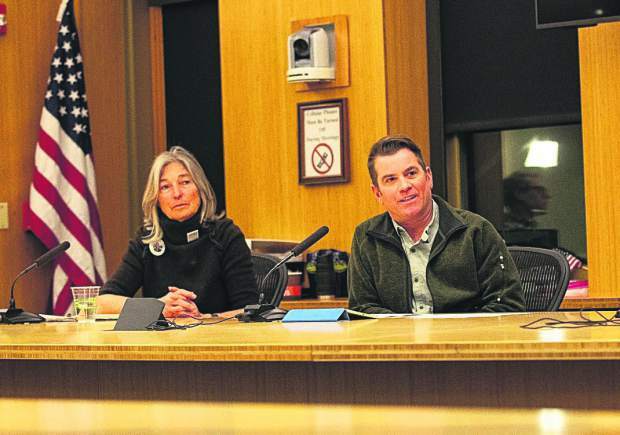 Commissioners attend monthly meetings and provide representation on different committees and boards such as RFTA, the river district and the Basalt child care coalition. A good number of county services are provided from the El Jebel office including Clerk and Recorder, public health, human services and the Sheriff’s Office. I welcome innovative thinking and problem-solving, so if there is a service which can be offered in a more convenient or efficient manner I am open to considering it. 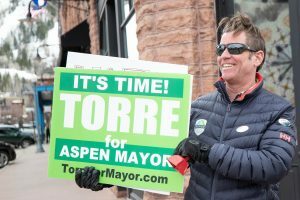 Aspen Times: Do you support a county-funded survey of midvalley residents to find out if they want to pursue leaving Eagle County and joining Pitkin County? Jeanne McQueeney: There is a process for redrawing county boundaries which we have shared with those who have expressed interest in this topic. It starts with a petition of registered property owners in the affected area. 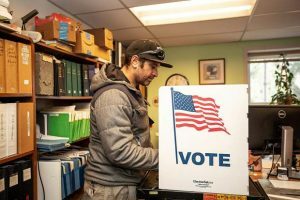 Once 50 percent plus one of those residents signs a petition, the question of annexation is placed on both the Pitkin County and Eagle County ballots. This is the only way to ensure true local control. Those most affected by this decision should lead the process. We have offered to provide whatever assistance is needed but in order to honor the wishes on both sides of this issue it is best if we do not lead the process. The county can help to provide a list of registered property owners who could sign the necessary petition and we can help with analysis of the financials and services provided to help Pitkin County and the residents understand the impact of annexation. I believe this can be a divisive issue for the community, so going slowly to understand the fiscal impact and change in services would be the best way to educate all involved. Jackie Cartier: According to the principals of Save Mid Valley, the reality of Basalt leaving Eagle County is highly unlikely anytime soon, if at all. There are county and statewide legalities, economic considerations for both counties, and the entire process is highly complicated, involving costly studies, signature gathering and procedural requirements, which don’t come either cheap or quick. Will the cost outweigh the benefit? That is of prime consideration. While logistically, it makes sense to align with our closest neighbor, Pitkin, other factors may make it improbable. We must also consider that the main driver of this movement is a feeling of no local representation. My position as county commissioner and resident of Basalt will relieve that concern. I plan on maintaining a local office here and adding as many technological advancements as necessary to allow for many of our county services to be accessed online. We will streamline and modernize the application process for services and with a local commissioner’s office, I will be readily available to the local community. Editor’s note: This article has been updated to reflect the lawsuit concerning the Tree Farm decision lists the Board of County Commissioners of Eagle County as defendants, not the commissioners individually.